The BBC Trust has approved Project Canvas, the BBC-led IPTV scheme - but is still insisting on a number of conditions. Project Canvas is a joint venture between Arqiva, BT, Channel 4, Five, ITV and Talk Talk along with the BBC that is hoping to do for IPTV what Freeview did for digital television. That means a set of minimum standards for any box hoping to carry the branding for the project, a user interface set by the partners and marketing around it. The conditions from the Trust fall into six main categories, and include the need to publish the core specifications within 20 days, that free-to-air channels are available (although pay ones are allowed on the service) and that the bar for getting IPTV channels onto Canvas is not set too high. "The Trust's decision follows a rigorous and extensive period of consultation over the past year, including discussions with a range of industry stakeholders and four formal public consultations," said the BBC Trust. "The proposal has been considered in the context of its likely public value; whether it represents value for money; the interests and perspective of the licence fee payer; the market impact; the risk attached to the BBC's participation in Canvas; and whether Canvas is likely to comply with the law and with BBC policies. Industry engagement: Completed elements of the Canvas core technical specification to be published within 20 working days from this final approval, and the Canvas partners to engage with industry on these and future elements of the technical specification. The final core technical specification will be published no later than eight months before launch of the first set-top boxes. The Trust will keep this process of engagement under review. Free-to-air: Users will always be able to access Canvas free-to-air, though they may be charged for additional pay services that third parties might choose to provide via the Canvas platform, for example video on demand services, as well as the broadband subscription fees. Accessibility and usability: Accessibility and usability features, such as audio description, should be incorporated into the core technical specification and/or user interface as soon as reasonably possible; and appropriate information and signposting should be provided for users to help them make informed choices about the suitability of content wherever possible. Access to the platform for content providers and ISPs: Entry controls in terms of technical and content standards will be minimal, access will not be bundled with other products or services, listing on the electronic programme guide will be awarded in a fair, reasonable and non-discriminatory manner; and quality standards for ISPs delivering Canvas will be set at a minimum level and applied in a fair, reasonable and non-discriminatory manner. Legal compliance: Canvas will comply with all applicable laws including competition and state aid law. 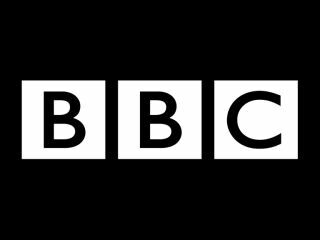 Cost: The BBC's involvement will not exceed the Executive's estimated costs by more than 20 per cent over a five year period.